Hello everyone. 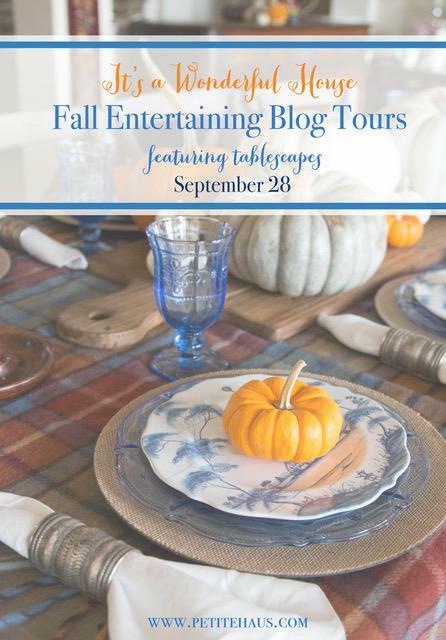 It's time for another fall tablescape blog hop again! 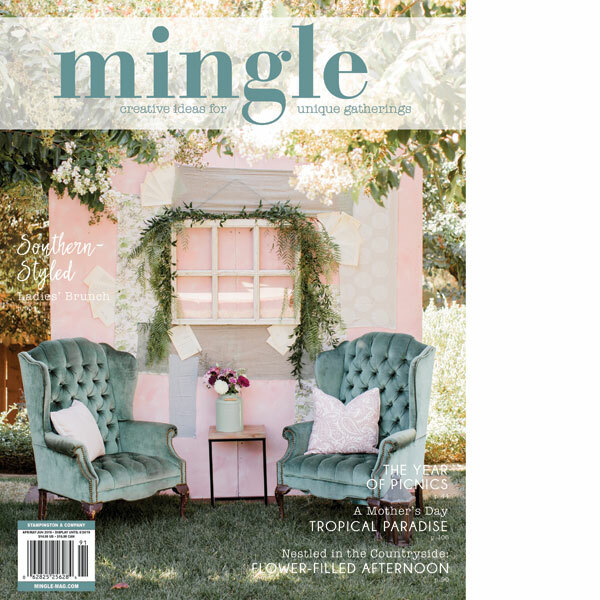 Our talented friend Angelina of Petite Haus is the person behind this fun blog hop that is guaranteed to be filled with plenty of tabletop eye candy and inspiration from my fellow bloggers. 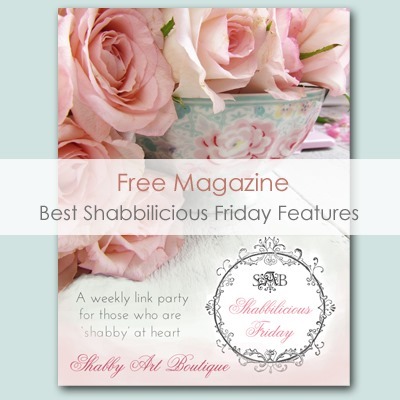 If you are coming over from Areeba of Mint Candy Designs, then welcome! I am so glad you are here! Make sure to check out all the links at the bottom of my post for more fall tablescape inspiration. 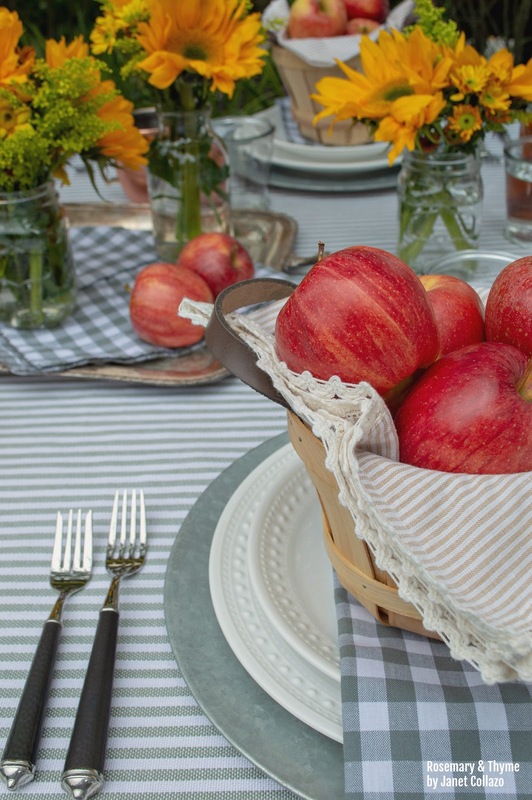 Today, I am excited to share my version of an apple harvest tablescape. 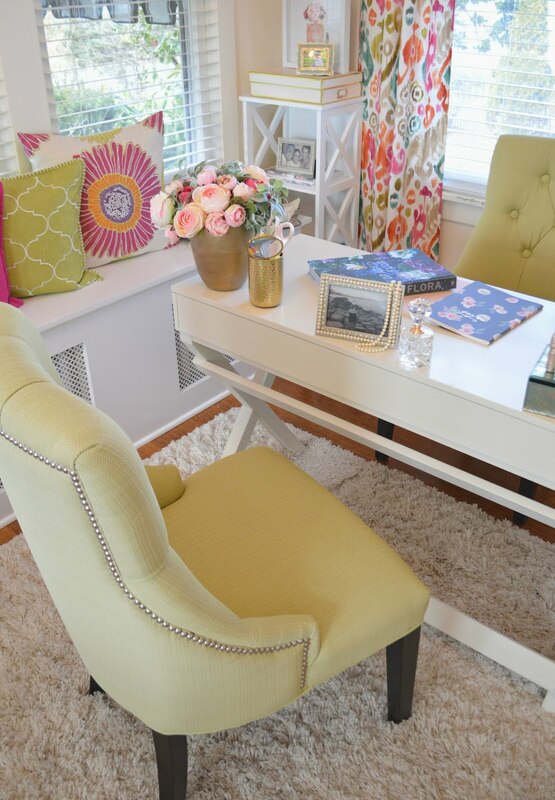 It is simple to put together yet bursting with charm, color and textures. 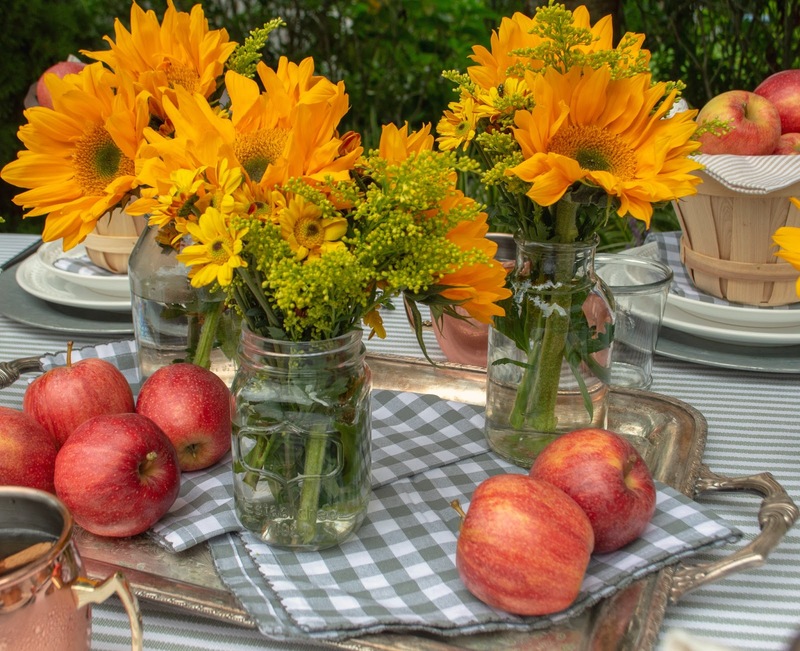 From the vibrant yellow sunflowers to the rich reds of the apples placed at each place setting. These warm and inviting colors are a delightful way to welcome fall and to create a table that will make your guests want to stay a little longer. My goal was to create a pretty farmhouse - apple harvest table without having to spend too much so I tried to use as many items I had around the house already. This was definitely a fun challenge for me and one that I was open to. The only items I had to buy were the fresh apples and sunflowers. But since they were purchased from our local farm stand, the cost was very reasonable. No need to say that I did plenty of baking and cooking with these apples! 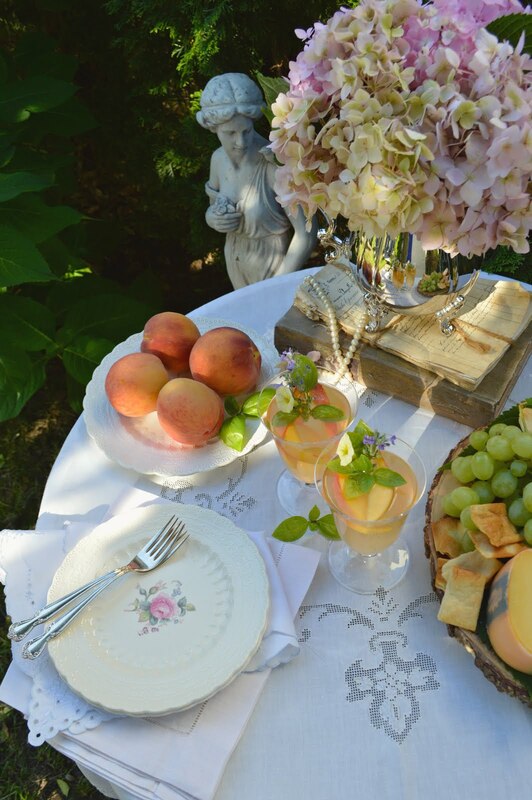 I am always fascinated by the beauty and versatility of fresh fruit. Especially apples which are my go to during the autumn season. 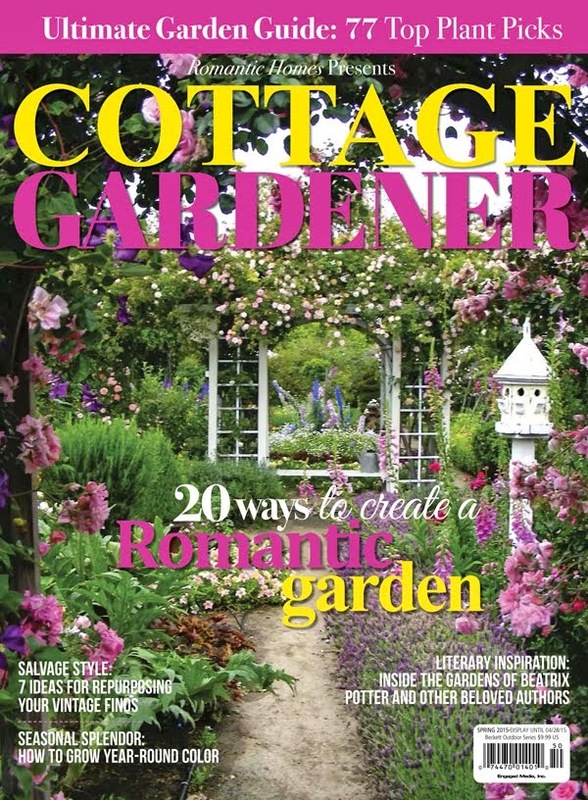 They are ideal for adding color and an organic element to your table. 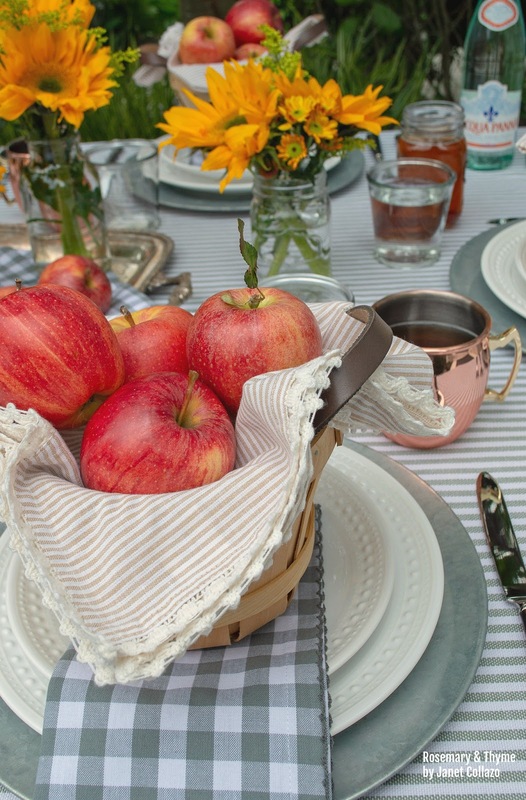 A striped tablecloth, white plates and copper mugs; ( all from Home Goods) come together to showcase the bright colored apples. The darling buffalo checked napkins placed under the farm baskets add textures and color at each place setting (from Pier 1). Local sunflowers add a happy note this autumnal setting. 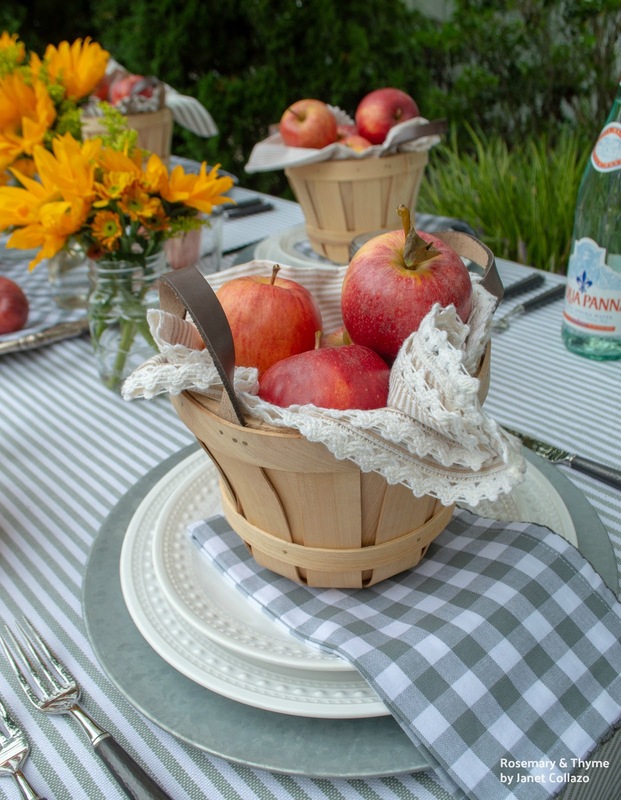 At each place setting, I placed a small farm basket filled with fresh apples. I used a striped napkin to add softness to the baskets. I just love how pretty these little baskets look! Stainless steel flatware with blackened handles, galvanized metal chargers and mason jars complete by farmhouse - apple harvest tablescape. 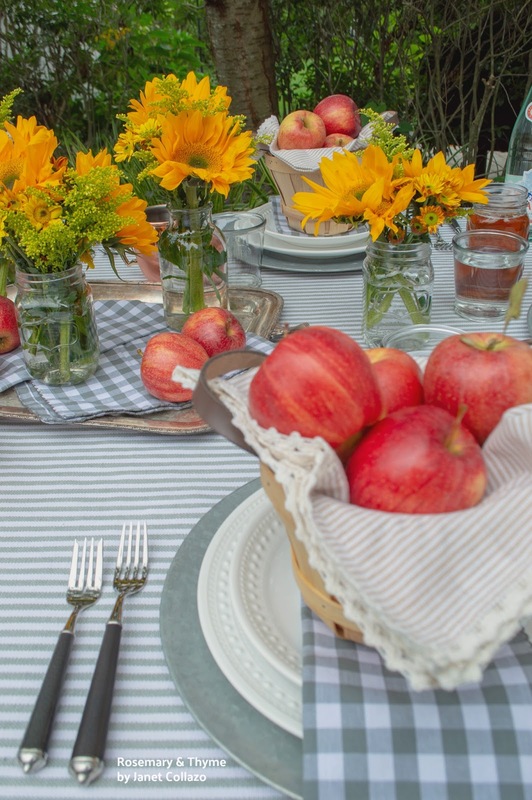 I hope I have inspired you to create your own pretty fall table. It doesn't have to be complicated! With a few items already owned, you can create your own little masterpiece. Thank you for your visit. Happy entertaining and may you all have a most beautiful autumn season. 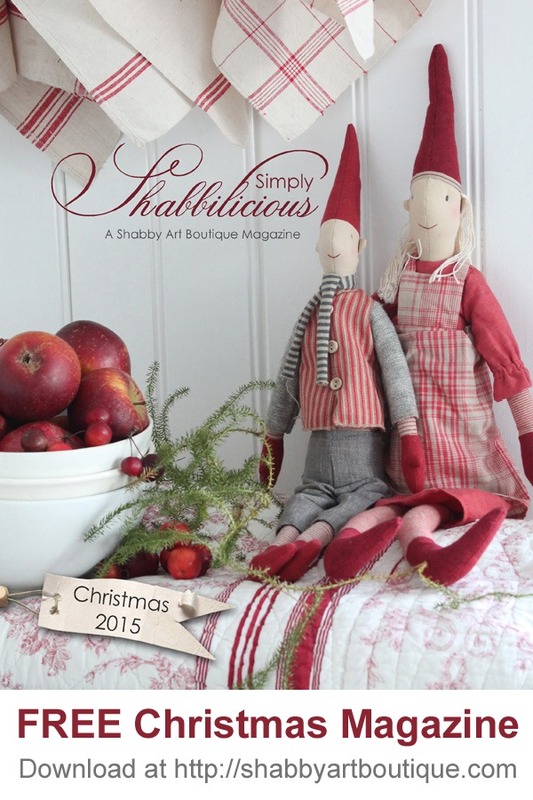 Next up on the blog hop is Rebeca of Lincluden Cottage Life. 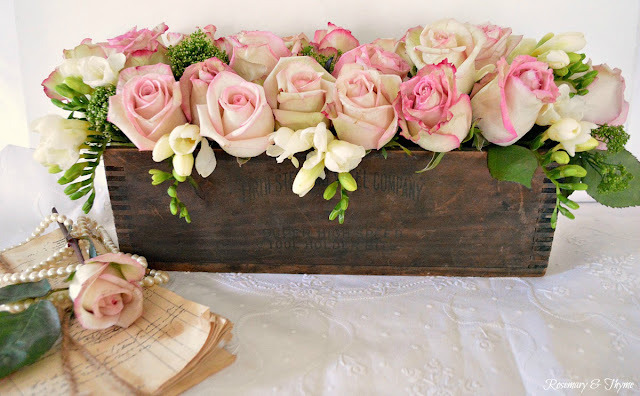 Be sure to give her a visit too for more fun tabletop inspiration. This is so inviting Janet....and I, too have an apple pie in the oven as we speak. It will be dessert tonight with a bog scoop of vanilla ice cream. Yum. 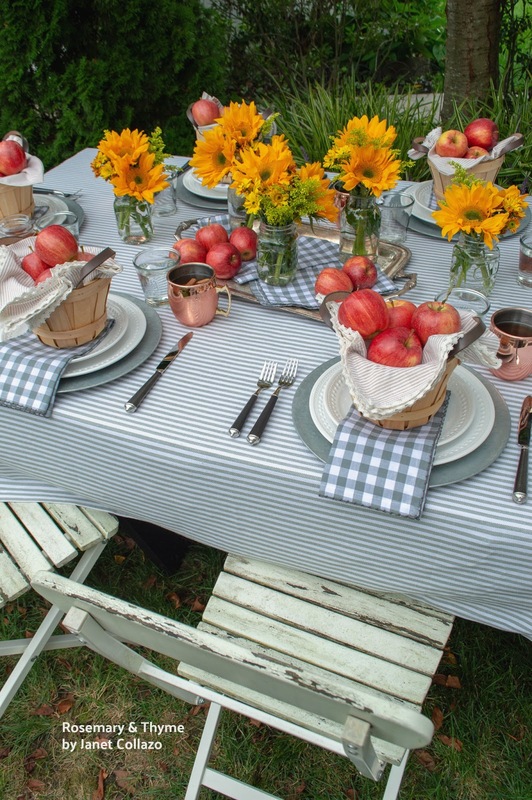 Your little apple baskets are adorable and I love your copper mugs along with your checked napkins. 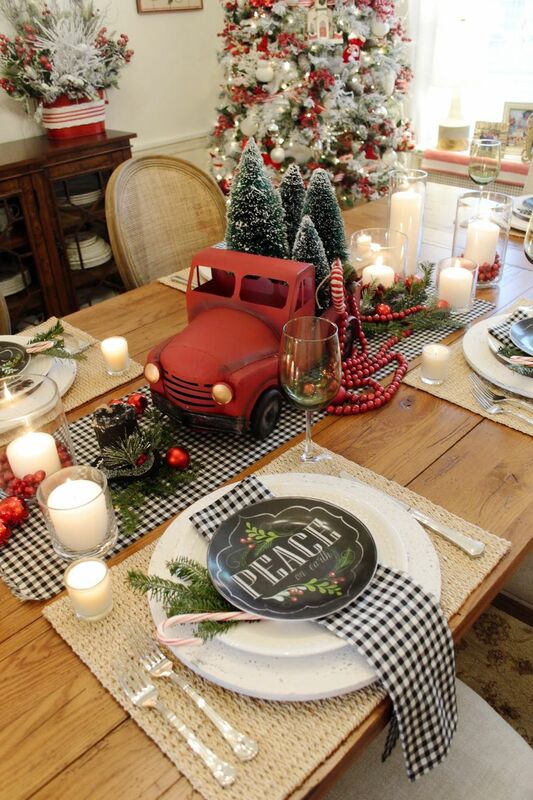 Great job with your tablescape. Be still my heart! 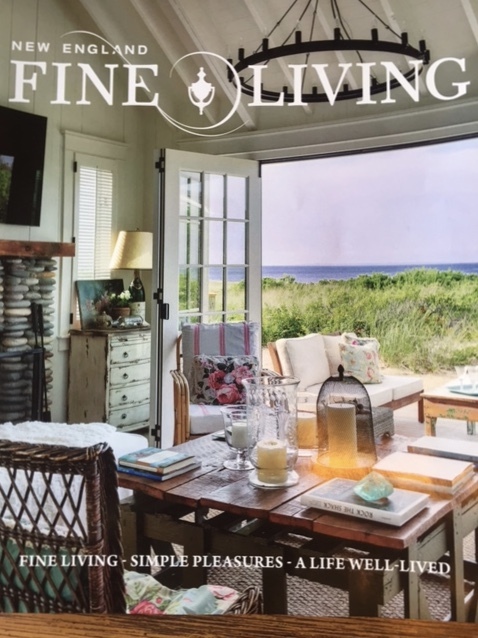 Janet it is stunning, I love the apples and sunflowers, the table linens, your pilllows, apple bushel baskets....I could go on and on! 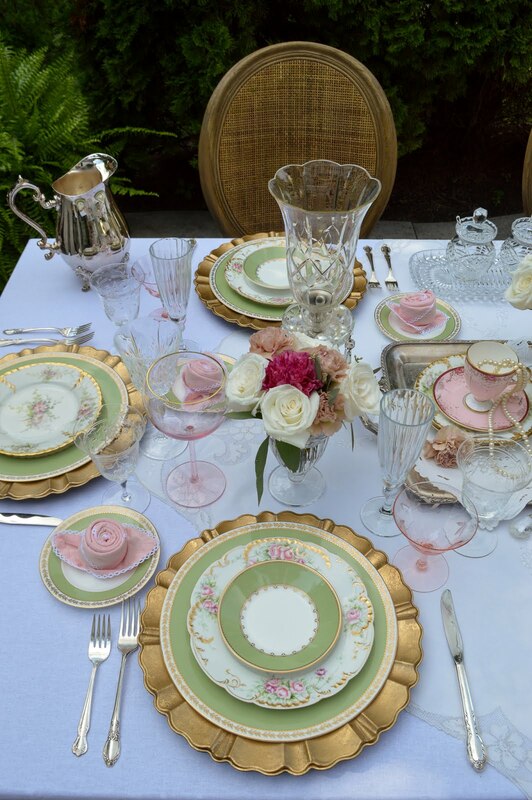 I will be back to study this beautiful tablescape in detail! 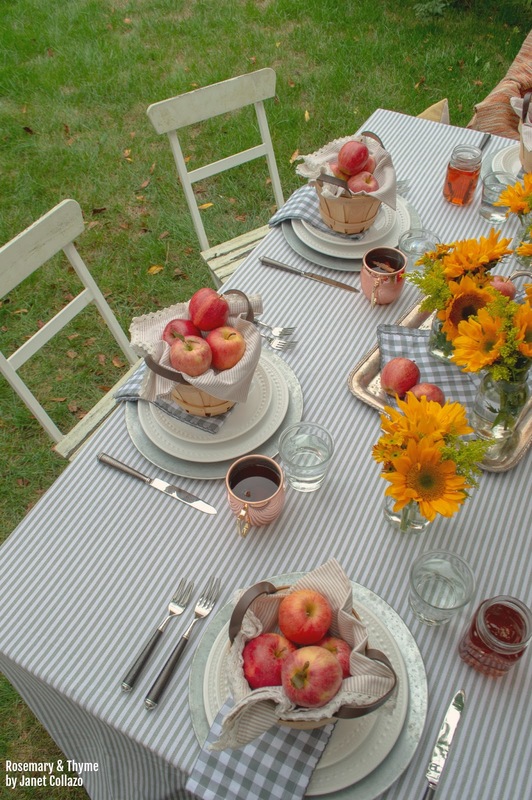 So happy to be joining you for the fall tablescape hop. Janet- I adore this!! I am so inspired!!! 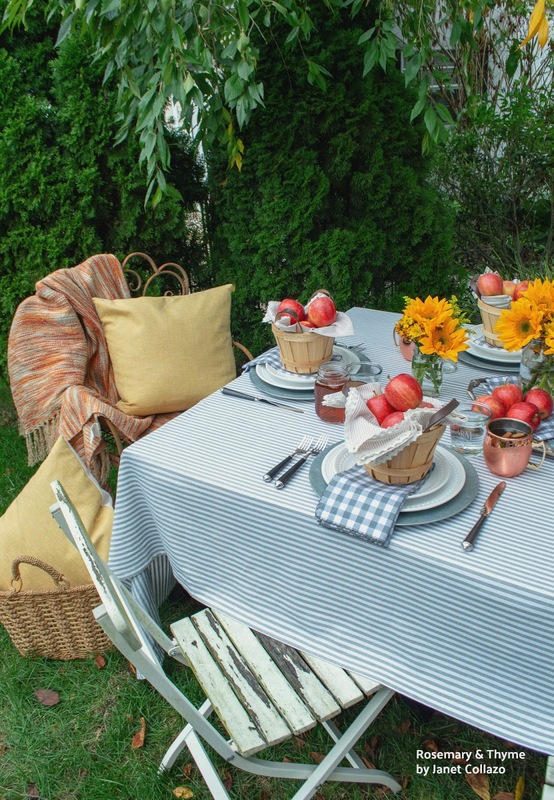 I love the stripes + gingham and the apples, copper and sunflowers! It all works so well together!! Thank you for visiting and leaving me your sweet comment. It means so much to me. Glad you enjoyed it. Have a beautiful week. 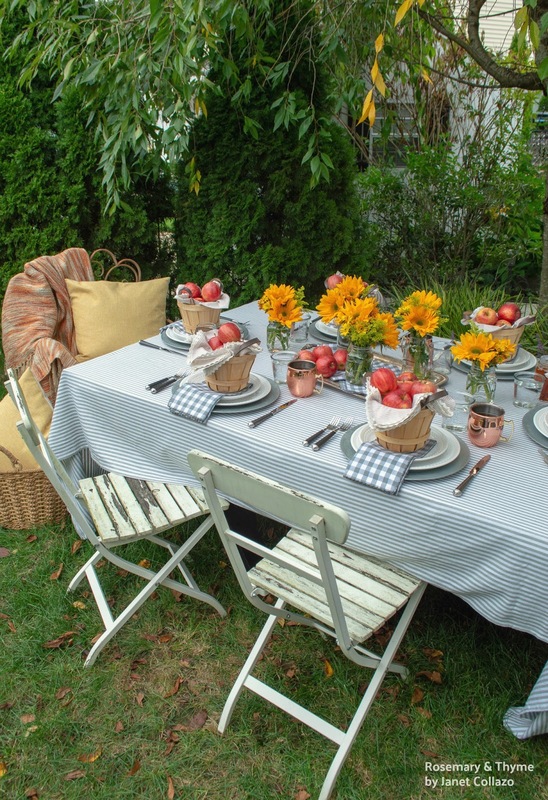 Lovely harvest table with mini baskets of apples and the fun linens. Thank you for visiting and and leaving me your sweet comment. 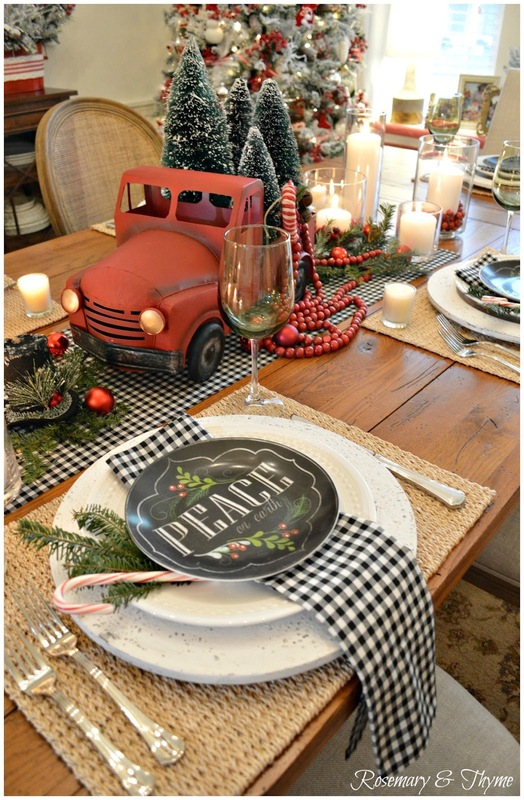 Without a sought !one of the CUTEST tablescape I have EVER SEEN ! lOOOOOVE !!!!! Where did you get the mini apple baskets !!! That is the best compliment anyone can give me. Thank you so much. 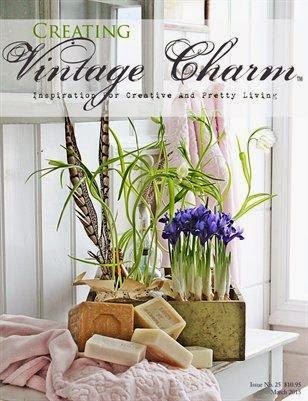 The mini baskets are from Michael's. Have a beautiful week.